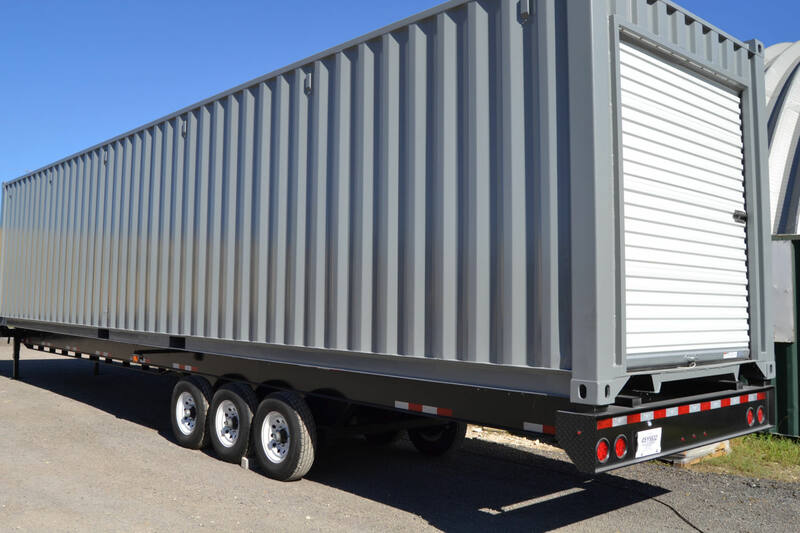 So you’re getting an onsite storage container or mobile container office delivered. Is there anything else you’re going to need? Here are six practical shipping container accessories that will help you set up your container structure and make it more secure. An additional steel box over the container’s lock box adds extra security by shielding the cargo door lock from tampering and bolt cutters. If the container is going to stay mobile, placing the container’s corners on blocking like cinder blocks or rail road ties is a great way to level the container and create some ground clearance. Blocking will require you to lift the container with a jack, but do not use HI-LIFT jacks to lift your shipping container. HI-LIFT jacks are not designed to handle the weight of shipping containers, and they have failed in the past. For your safety, we recommend using a jack designed for shipping containers. Chassis King offers a safe and convenient container jack system. Relocating shipping containers requires a specialty forklift or a crane. If you plan to frequently move your container structure, it may make sense to put the container on a chassis. Note that you will need a specialty trailer that can handle the weight of a shipping container and its contents. 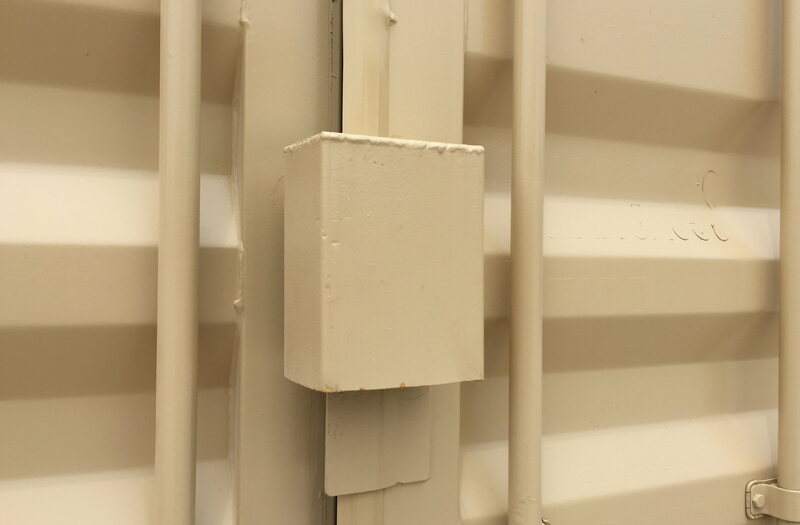 Ground plates with twist-locks are a fast and easy way to secure a shipping container to a foundation. Simply bolt the ground plates into the concrete and carefully lower the container so that the corner castings line up with the twist locks. Pull the levers on the twist locks and the container is secured. Twist-locks can also secure containers stacked on top of each other. Originally designed to secure containers stacked in port or on a container ship, twist locks can also secure multi-story container buildings. Wind and seismic events can move and rock containers. Clamp together side-by-side modules in multi-unit container-based structures with bridge-fittings to prevent toppling. The extra structural security of bridge fittings is especially important if additional containers will be stacked on top of multi-wide structures. If a multi-container structure will become a permanent building, bridge fittings are also a great way to keep container modules snug and secure as a welder joins the edges together. If you’re going to be storing items inside your shipping container, keep them organized right off the bat with shelves. 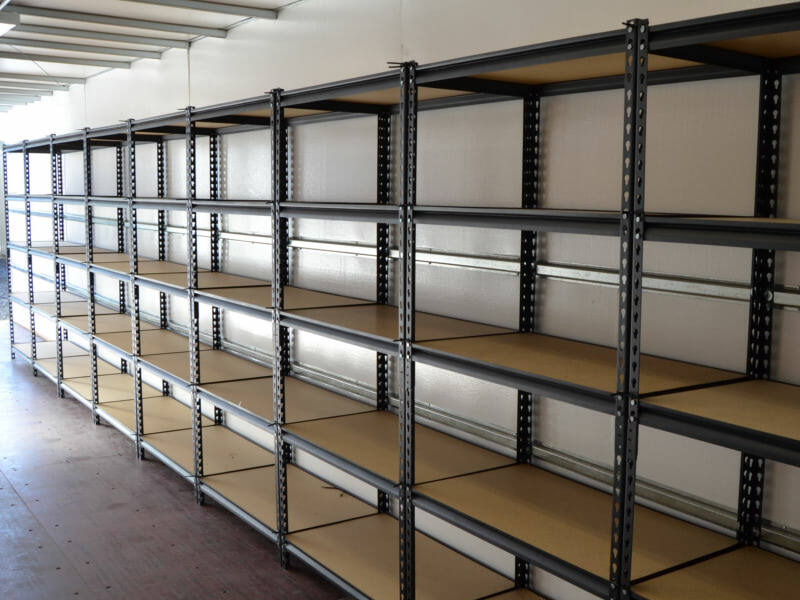 By attaching unistrut to the walls, you can secure the shelves to the container so that they stay in place during relocation. Looking for structural modifications? Check out our standard options. If you have questions you can always contact us at 512-231-1010 or email sales@FalconStructures.com.